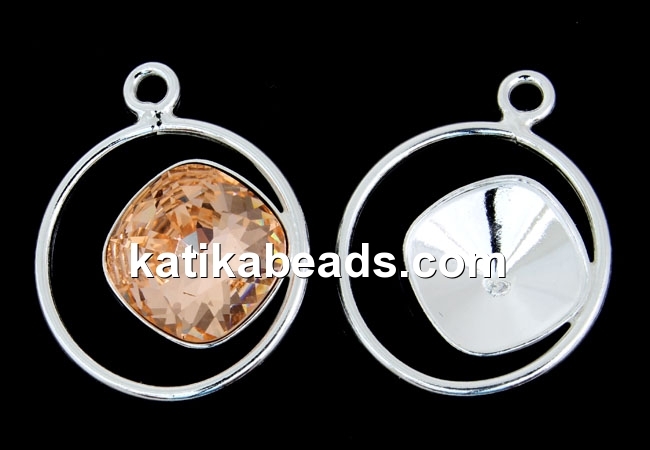 Pendant base, for fancy square Swarovski 4470, 10mm, 925 silver, total size: 21.5x17mm. The price is for 1 piece. The product shown in the image is used by way of illustration and can be purchased from the category: Swarovski fancy square.